Last year I read a post on one of our favourite blogs “More than words“, a post about a summer list. A list full of fun activities they wanted to enjoy during the beautiful weather. I just knew we had to write one this year. M is old enough to be able to take part in lots of exciting activities and adventures, so we put together a fun list of things to do. Something that came top of our list was thought of during a recent trip to the beach. We decided that we should visit the beach at least once a week. We are into our second week of our life list and I can confirm we have made two visits. Visiting the beach, be it as a couple or a family is something that really makes us feel quite summery. If the sun has been bright all day, the sand is usually nice and warm by the time we get there. You may not live locally to the beach, so if you’re looking to visit somewhere that makes you smile, why not try a favourite park or maybe a local forest. We wanted the list to help inspire weekends as a family, offer ideas for adventures on a summer’s evening or encourage us to do something we’ve always wanted to do. We intend to write a summer life list each year and as M’s level of communication grows, we will encourage him to come up with ideas for things he would like to add to the list. We’ve got items on our list that we know for certain we are going to achieve this summer. We are all visiting our first ever festival in a few weeks time, we’re so lucky to be Official Camp Bestival bloggers and hope to cross a couple more on our list off during the weekend away. We also have a Peppa Pig World visit planned to celebrate M’s birthday. We keep telling him we are going, but we are not sure he really understands about the rides and attractions he will see. M is a total Peppa Pig fan and we’re sure it’s going to be the best day ever for him. Plus we are kinda looking forward to some thrill seeking rides. Well C is, I am more of a loggers leap kind of person. 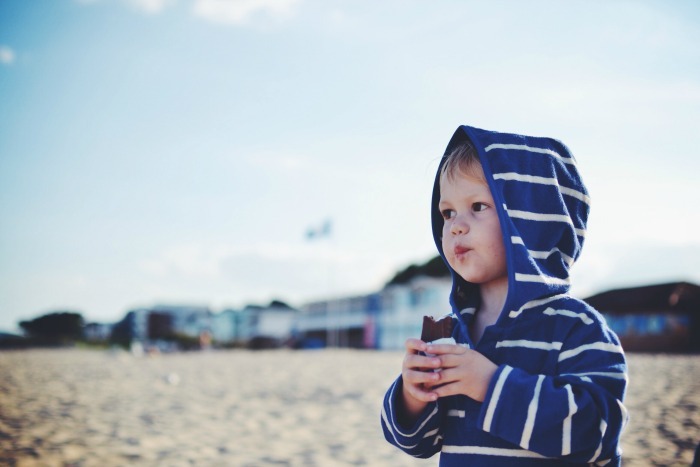 We’ve enjoyed many a trip to Lyme Regis, but there is just something about sitting on the beach eating an ice cream in Lyme Regis, that says summer. Some lovely friends of ours live in Devon, which means Lyme Regis has become our middle ground for meeting. We have a favourite ice cream parlour there and occasionally enjoy spending some 2ps in the arcades. 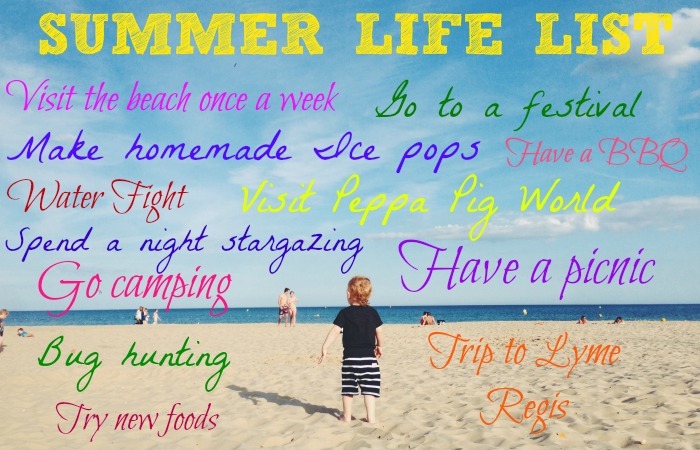 We hope to share a post each time we tick off something new and we’d love to know if you intend on completing a summer life list this year.